Learn the difference between market, stop and limit profit or loss orders. New traders often get confused between market orders, stop orders and limit orders. I am writing this post to clear their doubts. Market Orders are the ones that gets executed immediately at whatever price is available in markets. Stop Order becomes Market Order as soon as the price is reached mentioned in the stop order. Which as soon as the stock reaches the price given in the stop order, it gets executed immediately. Limit Order has two variables. Maximum and minimum. Order is triggered only if the price reaches the maximum or minimum mentioned. Limit Order will be executed only between the maximum and the minimum price given in the order. 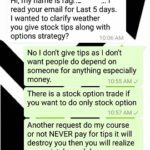 If there is a jump in the stock price and the trade does not gets executed between the maximum and minimum price then the orders stays pending. Stock XYZ trading at 10. Ask (best sell) price is at 10.50 and Bid (best buy) price is at 10.25. A new trader wants to buy the stock and hits Market Order. He order is triggered immediately and he buys the stock at 10.50 – the best sell price at the moment. Why the best sell price? Because he hit market order. A market order to buy is to get the stock at the best sell price, and the market order to sell is to get the stock at the best buy price currently available in the market. Please note that if a buy market order is hit and order is approved to go to the market place, but if there are no sellers then the order is rejected immediately by some brokers or is kept pending by some brokers. It is advisable before hitting market orders please see the ask and bid prices. Let us take the same example above. Stock XYZ trading at 10. Ask (best sell) price is at 10.50 and Bid (best buy) price is at 10.25. 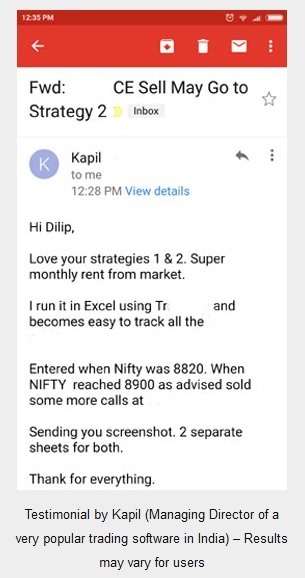 An experienced trader wants to sell the stock at 10.90. 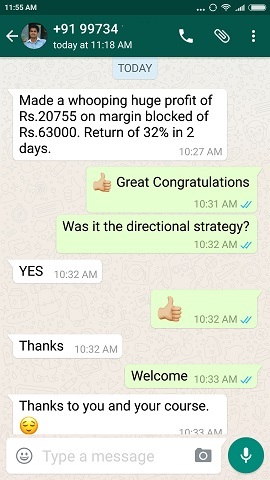 Let us assume he is an Intraday day trader and bought the stock at 10.15 and keeps a stop order to sell at profit of 10.90-10.15 = 0.75 points. Note that a Stop Order not necessarily means a Stop Loss Order. 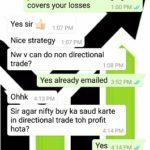 Most traders in India think a stop order is a stop loss order. A Stop Order can be a stop “profit” order or a stop “loss” order depending on what trader does. 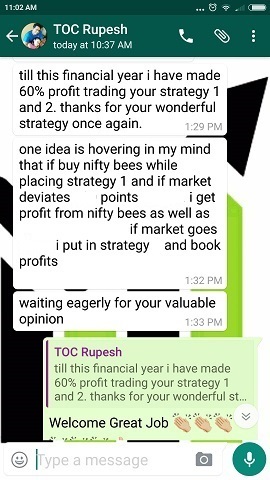 In the above case he has put a stop “profit” order. His stop order to sell the stock at 10.90 will show as pending in his order books. Trading keeps going and as soon as the bid (best buy) reaches at 10.90 his order becomes a market order and will immediately get executed. The buyer who bid at 10.90 will be given the shares and the sale is complete. Note that anything above 10.90 can also be triggered, but not below 10.90 as this is the limit to sell by the trader. If lucky, the stock is jumping and someone bids to buy at 11 then the order may get triggered to sell at 11 also. 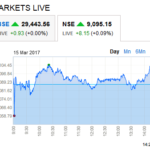 Let is assume there is some good news in the stock and suddenly there are lot of buyers in the stock and the stock is zooming up very fast. 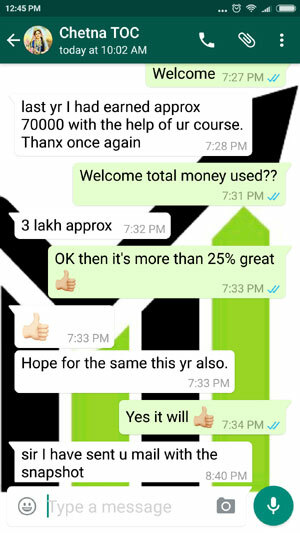 An experienced trader wants to buy the stock to go with the trend. But he feels at current price of best sell 10.50 which is technically a market price it is quite high so he sets a stop buy order at 10.40 and the order gets filled after sometime. Now after sometime a bad news hits on the stock and traders started selling the stock. It now starts to go downhill. The trader who bought the stock at 10.40 panics and keep a stop loss limit order. As written above limit order has two variables – low and high. He keeps the stop loss limit order at 10.10 (high) and 9.90 (low). In other words he orders the system to sell the stock between 10.10 and 9.90. Not below 9.90. Note that any buyer bidding between 9.90 and 10.10 will get the stock but if there is a swing and the stock nose dives to 9.50 then the limit order will remain pending and will not get executed. If the order was a stop loss order at 10.10 then it will get executed at 9.50 if it nose dives there. Hope the difference between market, stop and limit order is clear now. If any questions ask in the comments section below.